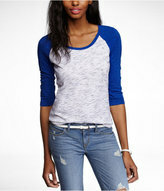 I like this in the Navy color a little more than the gray, but this is definitely the epitome of baseball tee's. Soft, cute, comfy and best of all? 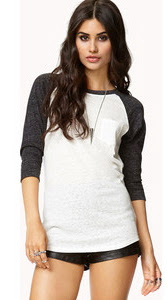 I love how the shirt is grey and not straight out white. Looks like you wouldn't need a tank to wear underneath. The colors are super cute together. Love it!